You are here: Home / Contests / Grill Cloth Giveaway Winners! The winners have been chosen in the latest Mad Anthony’s Cafe Contest! 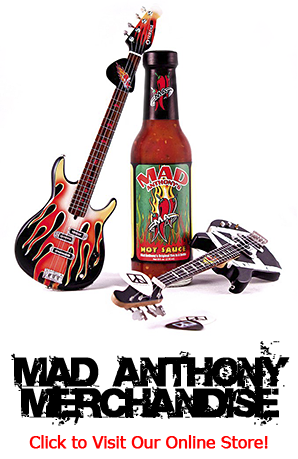 Up for grabs were 3 STAGE USED MAD ANTHONY GRILL CLOTHS! These grill cloths were designed by Michael Anthony himself and were used on stage on his bass cabinets during the 2016 tour with The Circle. Thank you to everyone who entered and stay tuned for our next Mad Anthony’s Cafe giveaway!